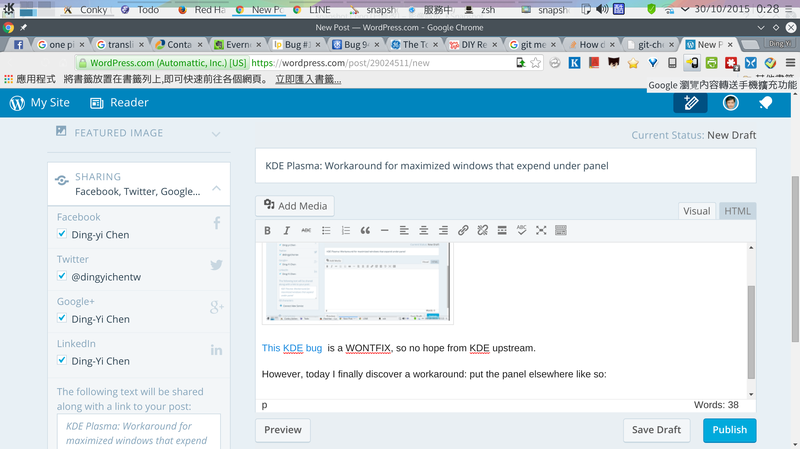 It is quite annoying that the maximized windows in KDE go under panel. 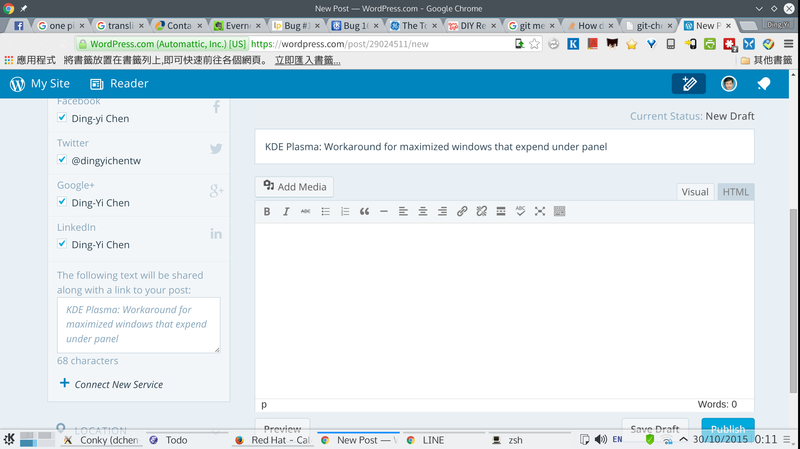 This KDE bug is a WONTFIX, so no hope from KDE upstream. Hmm maybe that’s the configuration of the panel, check that you didn’t enable the option “Windows go behind” (or the like, I have in Spanish) in the “Visibility” part of the panel configuration. I set it as “Always Visible”, maximized windows still went under the panel. So it is indeed a bug. I have the same problem when the panel is at the top of the screen where I want it, but not when it is at the bottom where it was by default. Mmm, the bug I mentioned is resolved, any my plasma desktop act as expected. Perhaps eventually they decided to fix it.